Easy-to-color "diffusing" shapes. 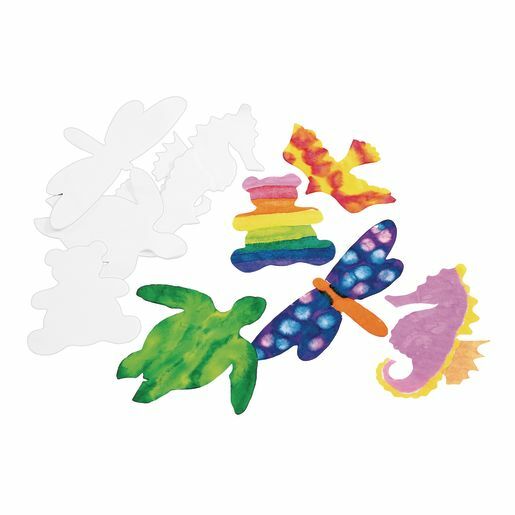 Use with Bingo bottles, brushes or watercolor spray for bright, colorful effects. 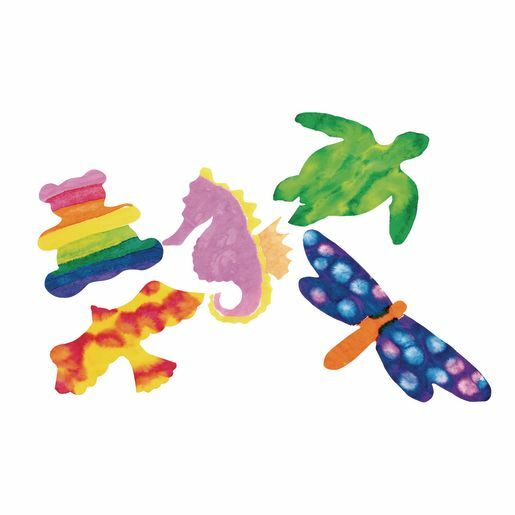 20 each of 5 designs: bird, dragonfly, seahorse, teddy bear and turtle. 9" x 7". Set of 100.